Looking for that quote you created last month? Wondering how much the quote was for and what items you excluded from the job? 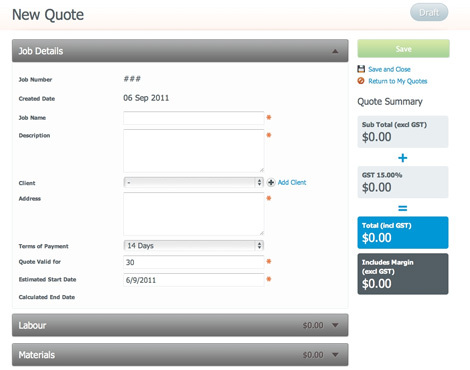 All your quotes and job details are stored in one location. 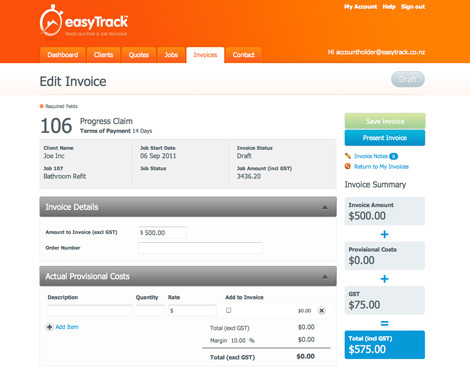 You don’t have to be a computer whizz to create a sharp looking professional quote or invoice to send to your client. Your client will no doubt appreciate your speed and professionalism that puts you ahead of the rest. 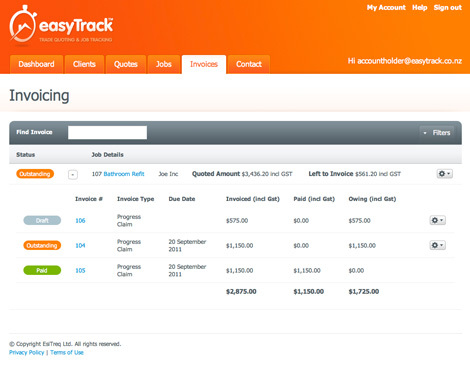 EasyTrack takes the hassle out of invoicing. Don’t be discouraged if your client wants you to do more than you quoted. 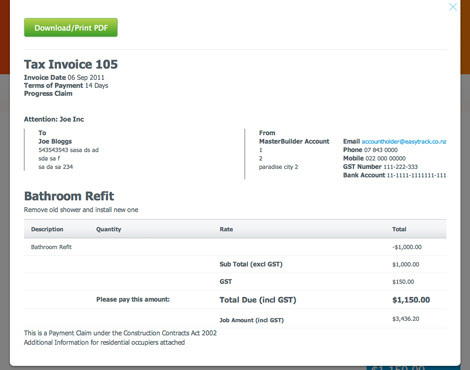 Before you send the invoice simply edit by adding the extra items.